A Verona man has been ordered to undergo mental health counseling after pleading guilty to two counts of animal cruelty, according to a spokesman for the New Jersey Society for the Prevention of Cruelty to Animals. The agency said that Ronald Thomas of Elk Road had been trapping animals in his basement and allowing them to starve to death in traps. 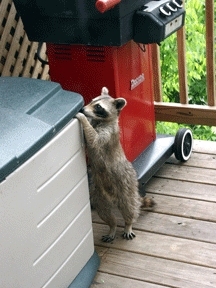 It was also reported that Thomas had captured a live raccoon in a Have-a-Heart trap, and had placed the trapped animal to die in a garbage can filled with water. The NJSPCA said its investigation revealed that for almost three days, a trapped raccoon managed to stay alive by jumping up and down to keep its head above the water line in order to breathe before responding Verona Police officers and Montclair Animal Control officers freed the water-logged animal. After the release of the raccoon from its trap, it died while on its way to a sanctuary where it was to be released into the wild. In December 2010, Thomas failed to appear in Verona Municipal Court on the animal cruelty charges. A bench warrant for his arrest was immediately issued, according to the NJSPCA. After surrendering to Verona authorities, Thomas appeared at his January trial accompanied by his attorney and pled guilty to two counts of criminal and civil Title 4 animal cruelty violations; assessed a $1000 fine, and $500 in restitution to the NJSPCA. In addition to counseling, Thomas was ordered to obtain animal awareness education at his own expense. Since the Montclair Animal Control officers had initiated the response, gathered evidence, stored the deceased carcasses at their facility, and greatly assisted in the NJSPCA cruelty investigation, both agencies will share the benefits of the fines assessed against the defendant, the NJSPCA stated in a release. 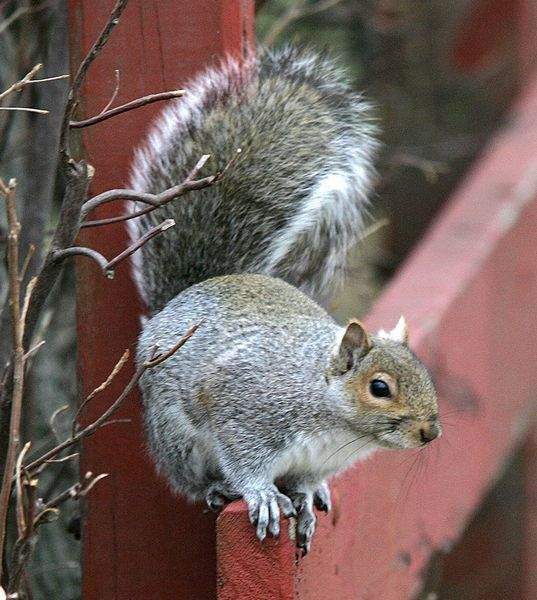 PARSIPPANY – A township homeowner who says he’s struggled for years with a squirrel invasion is due in court after he allegedly killed one of the animals with a trap about a week ago, police said. Mark Paul Slaughter, 52, has been charged with needlessly killing an animal and not providing food, water or protection to an animal, police said. Parsippany Animal Control Officer Chris Dikovics charged the man last Tuesday after authorities received a report that Slaughter had been trapping squirrels at his Lake Hiawatha home, Parsippany Police Officer Earl Kinsey said. During that time, he said, the animals broke into his home and were responsible for foul odors, and they destroyed the wooden edges on his roof. Slaughter estimated that he caught and released at least 50 squirrels. The man forgot to remove the trap two weekends ago as he went out of town to celebrate his birthday and the Easter weekend, resulting in a squirrel starving to death in the cage. It remained there for at least four days, he said. “I just stupidly left the thing out,” he said.